Last week I decided to try to make a little moss garden. I have seen them in various gardens and I really like the looks of them. Fortunately I have mosses growing in various locations throughout my yard, so finding the moss was easy. 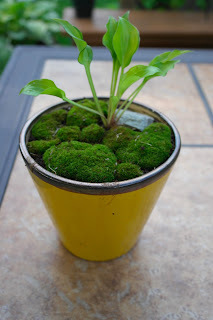 If you don't have moss there are online nurseries that sell mosses, and I have seen some at local nurseries too. First I start with a container. 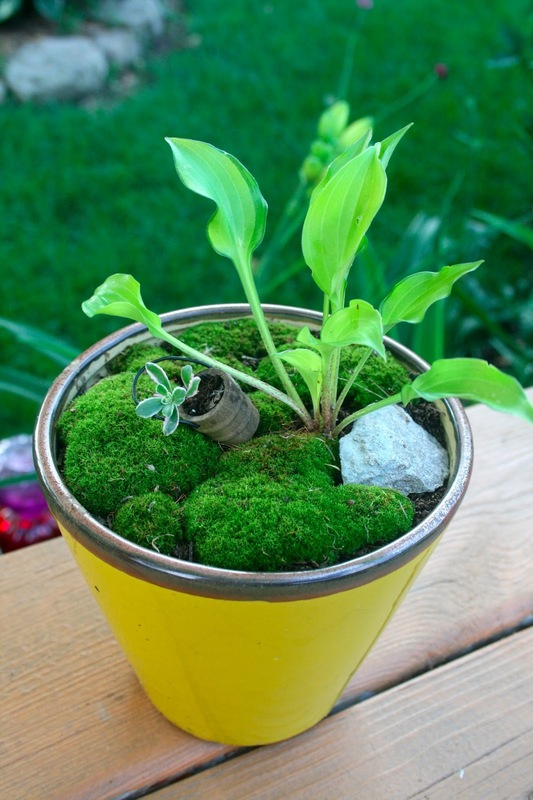 I filled it with compost, and then went to gather my mosses. 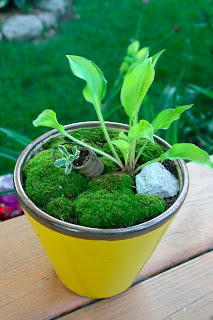 Then I placed the mosses throughout the container and added a miniature hosta and a rock. I also decided to add a miniature pail with a sedum in it to my pot. Then I made sure to water it very well, and put it in a very shady location until the moss took hold.